There is more to tree surgery than an axe or a saw! LTC Tree Surgery understands trees, how they grow and how to keep them healthy. A beautiful garden can make a massive difference to your quality of life – whatever the season. 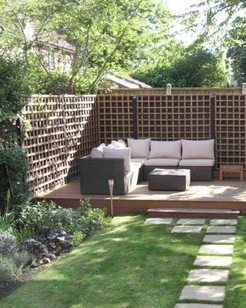 LTC Landscape Gardening work with you to understand what is your perfect retreat. We will suggest ideas, too. 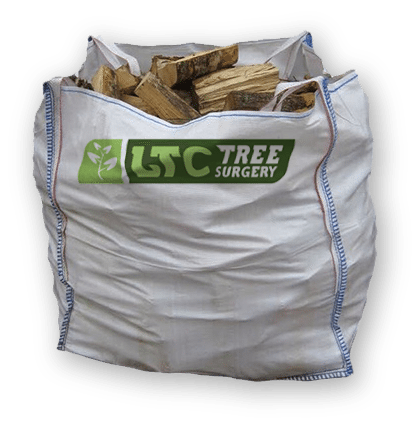 LTC Tree Surgery in Wigan, Greater Manchester, is a family run, experienced and friendly team of professional tree surgeons. We are fully insured and are certified by the National Proficiency Test Council (NPTC) which is part of City & Guilds. Whether you need a tree pruning, would like a bush pruned or just need to reduce the height of a tree in your garden, we’ll be happy to help. Our tree surgeons offer a professional tree surgery service to customers in Wigan, Manchester and the surrounding areas. From domestic work to bigger commercial jobs, we’re able to take on all types of tree pruning, surgery and felling work. Starting off with a comprehensive tree survey we’ll quickly evaluate your needs and be happy to provide you with a free, no-obligation quote. Trees are a fantastic addition to any garden but if left unmaintained they can quickly get out of hand and cause problems for your home. Where possible we’ll always recommend against the complete removal of a tree as there are often far better alternatives such as crown trimming or crown reductions which will bring your trees back under control and looking great. Our tree surgeons can provide a professional tree surgery service to customers in Manchester, Wigan and the surrounding areas. Gardening is all about creating a beautiful environment where you can relax and enjoy yourself and at LTC we can help you create a truly wonderful garden to be proud of. Whether you live in Wigan, Manchester, Warrington or St Helens, we’ll do all the hard work so you don’t have to. From clipping your hedges and trimming the lawn to pruning bushes and maintaining your trees, we’ll do everything needed to keep your garden looking great. 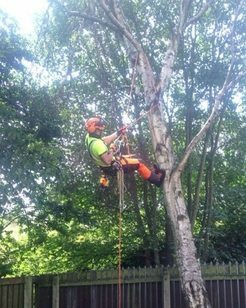 LTC Tree Surgery is a friendly and professional team of tree surgeons who are based in Wigan, Greater Manchester. We offer our customers a full range of arborist services including tree felling, removal, crown reduction, crown thinning, pollarding and pruning. We’re experts in tree surgery and serve customers around Wigan, Manchester and the surrounding areas. Using the latest tools we take a sympathetic approach to trees and those who live in their shadows. After going through the hassle and expense of having trees removed from your garden, why leave unsightly tree stumps in their place? Grinding those stumps down below the surface of the topsoil allows for effective repair and replanting of the area and prevents the spread of fungi. Stump grinding is much less expensive than stump removal processes and it eliminates the disturbance of the surrounding lawn area. Call today for stump grinder prices in Wigan & Manchester. Make light work of even the biggest of jobs with our wood chipping service to turn waste materials such as branches into quality, saleable wood chip. Wood chippings can be used as mulch for plant beds and is a great way of reducing the size and volume of garden waste. A necessity for any big pruning, felling or crown reduction job, our wood chipping service is available to customers in Wigan and throughout Greater Manchester. There are three forms of crowning: crown thinning, crown lifting and crown reduction. Crown thinning removes the density of the branches and removes anything dangerous whilst keeping the attractive shape of the tree. Crown lifting removes the lower branches. Crown reduction reduces the height and spread of the tree whilst minimising the natural shape of the species. Although usually applied to bushes, trees can also benefit from judicious pruning. This includes the removal of suckers growing from the base of a tree. If your bush or tree grows over a public highway (including a pavement) it will need to conform to the Highways Act. We can advise what is necessary and carry out the work required. Read more on our tree pruning service page. 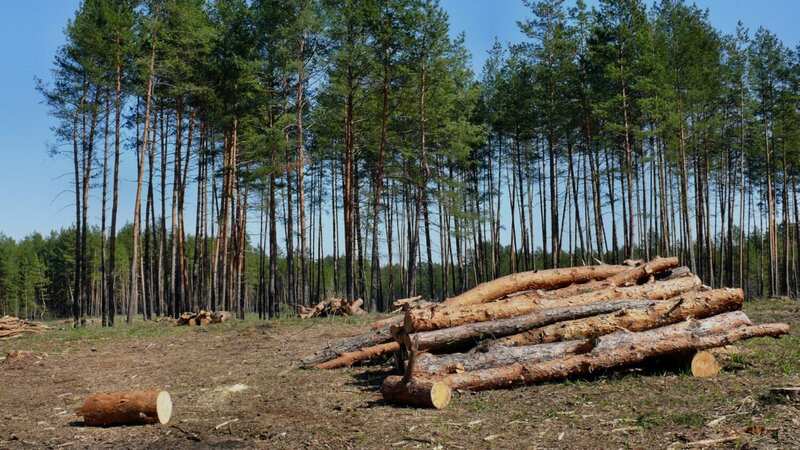 How a tree is felled depends on where it is. If there is sufficient space, the tree can be straight felled so the whole tree falls from its base guided by ropes and wedges. Even if there is space and it is to fall on a lawn, we take care to minimise the damage and repair the surface after removal. If there is insufficient space, we section fell the tree, that is, take it down bit by bit. 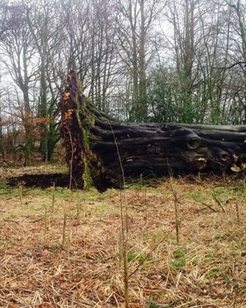 Once a tree has been felled we can also remove the stump to leave you with a fresh start. 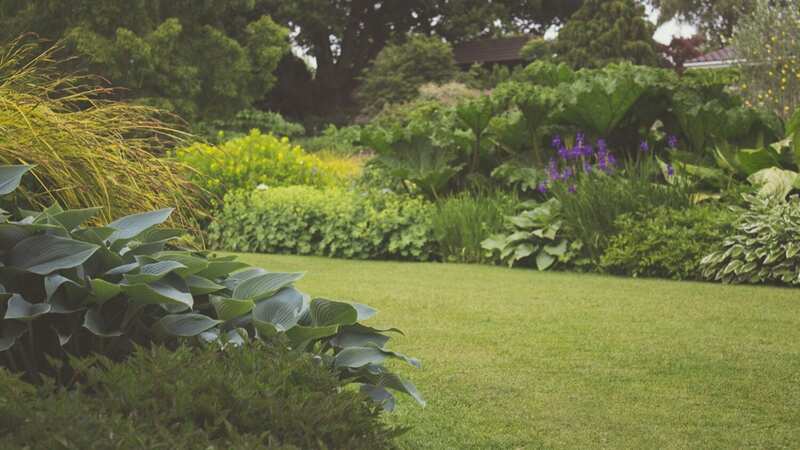 There are a couple of options for doing this: digging the stump out using hand tools and sometimes a winch or stump grinding which involves machine grinding the stump to about a foot below ground level and covering it over with soil to the required level. CALL THE LTC TREE SURGEON COMPANY ON 01942 367 170, OR CLICK THE LINK BELOW! From £60 per builders sack (250kg). Does not include any conifers. All of our logs are cut to a manageable size for domestic fires. Get your fire logs delivered straight to your door in Wigan, Greater Manchester for FREE. Seasoned with low moisture, causing the log to burn hotter and longer. We are fully City & Guilds NPTC qualified & accredited. We offer the best possible tree surgery quote and top quality service. Based in Wigan, Greater Manchester, we are a local and family ran business. If you like to know more about LTC Tree Surgery contracts? Logs are typically £60 per builders sack (250kg), or 750kg for £180. With free local delivery. No conifers included.